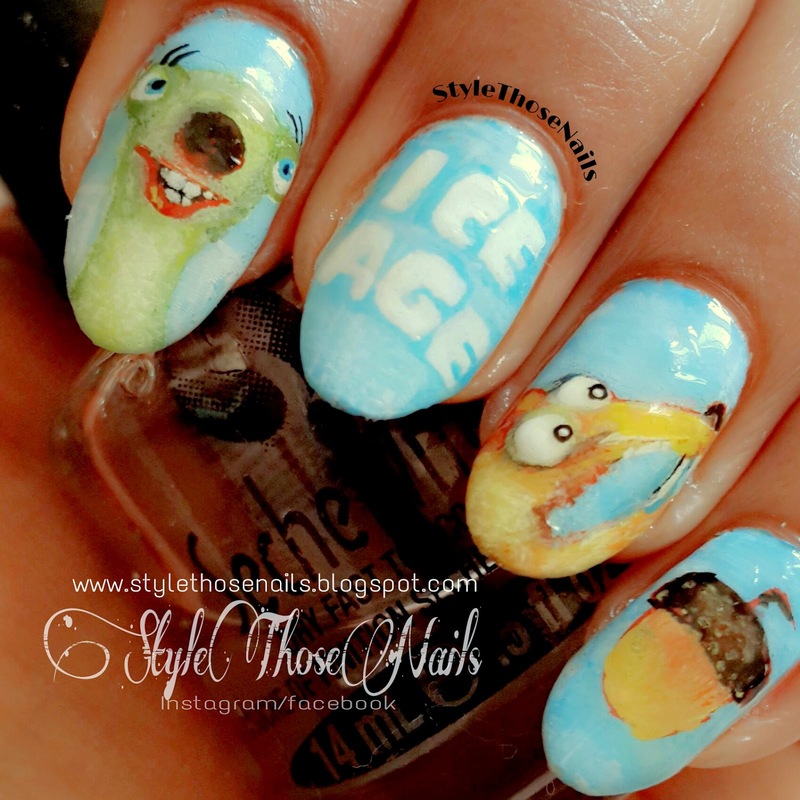 Today I am sharing my first movie inspired nails as a part of InspiratioNAILjune challenge. You can also join us HERE. 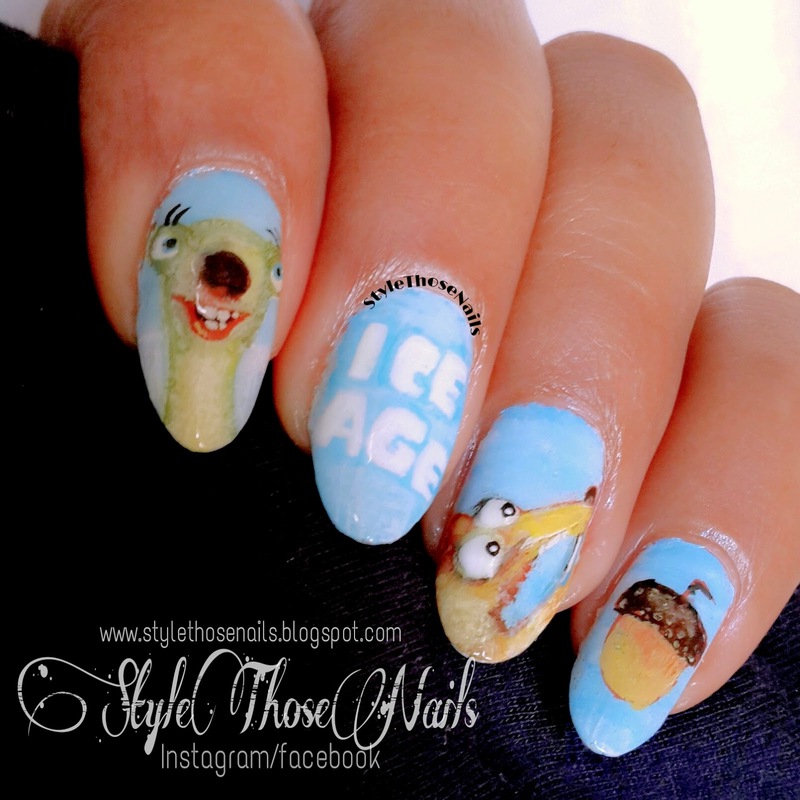 This nailart is inspired by Ice Age Movies. 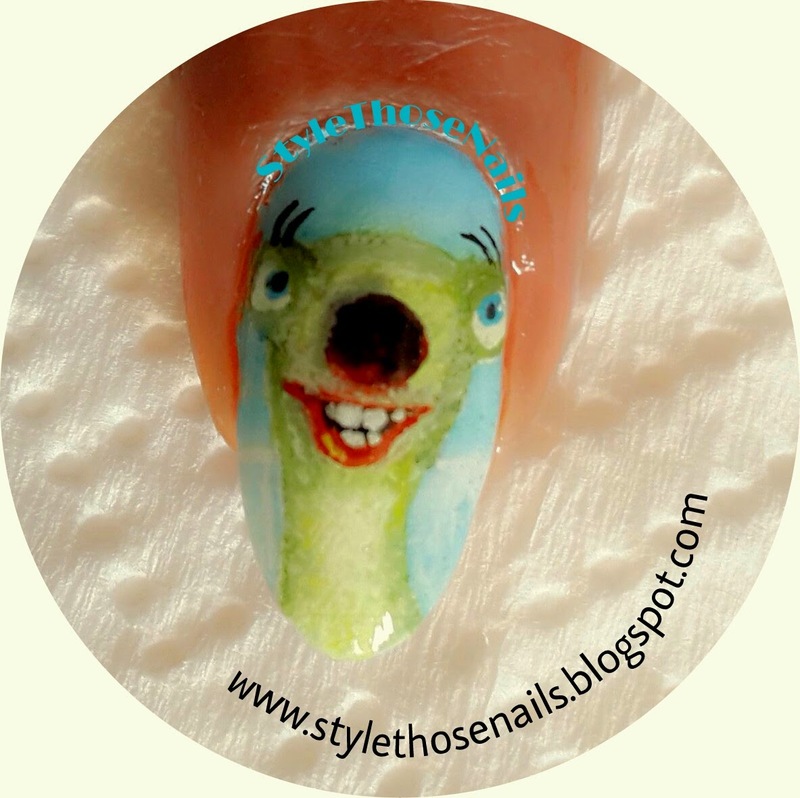 I chose this movie as it's one of my kids' favourite and I was asked by my dear friend from Innovative Nail Art Designs to paint SID as it's her favourite character. 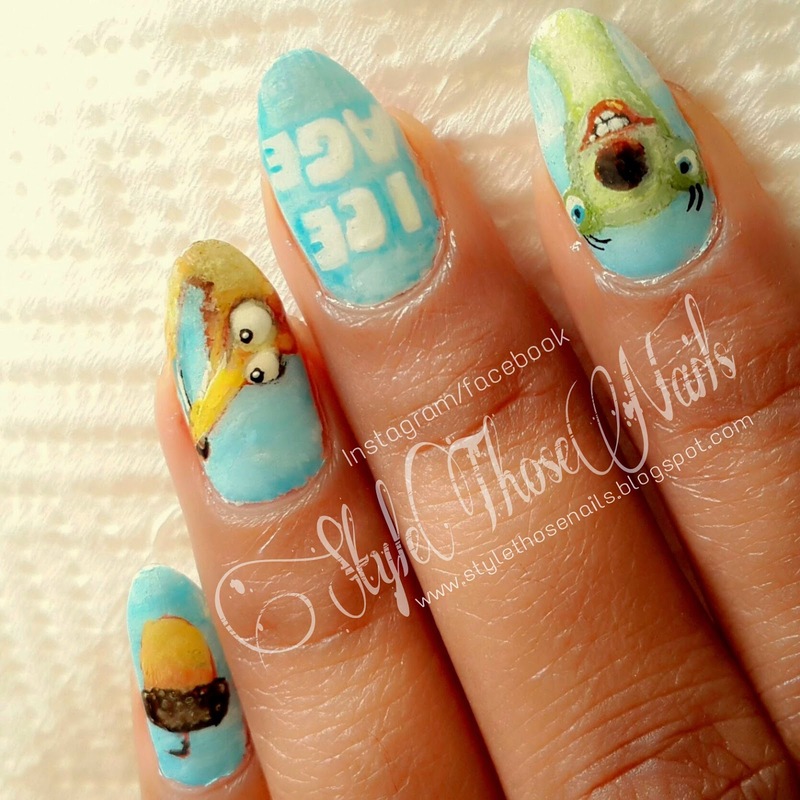 So without taking your time let me show you my nailart. I started with a white background and then created a ice blue -white effect using blue poster color and white poster color. I used a flat brush for it. Then I started painting the outline of the characters with a white acrylic paint and a thin detailing brush. I used different shades of olive green for Sid and brown and yellow shades for Scrat. I don't limit myself to only acrylic colors I mix poster color and water colors also to get the desired effect. It's very important to blend the colors and I am slowly getting the hang of it. Practicing makes it better so keep practicing if you want to get better results. 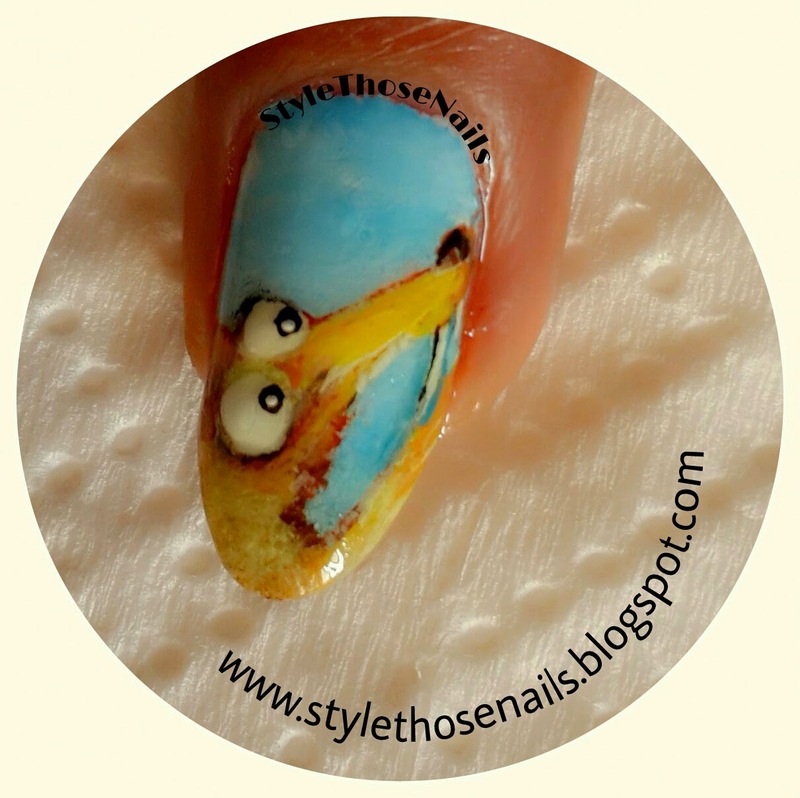 Here is closer view of Sid and Scrat. I hope you liked this nailart. Do you like this movie? Which is your favourite character? Follow our pinterest board HERE if you want to see what other participants came out with. Thanks for reading . Have a great Day XO. Please Pin, Like and Share this post and give your feedback too ! !